WTF Are You Reading? 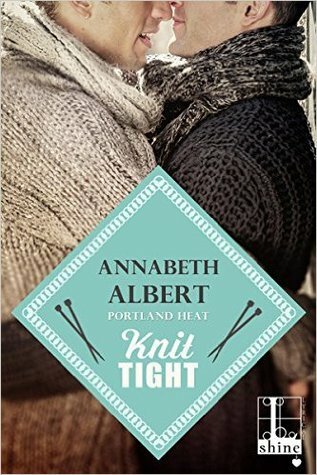 : Warm And Cozy Romance Tangles Reader Heart Strings In "Knit Tight"
Warm And Cozy Romance Tangles Reader Heart Strings In "Knit Tight"
The tale told in Knit Tight is one that heads right for the heart. But this beeline straight to readers' emotional centers, has almost nothing to do with what is going on between the two leading men. As it turns out, the part of the story that consistently keeps tender feelings in its vice-like grip, is all of the family drama that swirls around Brady and Evren. Brady, the 20-something, up and coming barista extraordinaire, is blessed with the looks of an angel, a boy next door charm, and artistic skills involving coffee and foam that would make Michelangelo stand up and cheer. This should be the best and most free-living time of Brady's life. But the tragic loss of his mother and step-father in an auto accident, has lead to his having to become guardian to his younger siblings. Making him and his heart a package deal, and changing the way that he approaches relationships forever. Leading man Evren, appears to have everything together. A knit wear designer from New York; Evren is the walking embodiment of Brady's dream lover. But the man of Brady's dreams is stuck in a personal nightmare. The agony of watching his beloved aunt, and sponsor of the coffee house's Knit Night, fight a losing battle with cancer. Authoress, Annabeth Albert, is known for shining a very glaring spotlight on very real issues within the course of her romances. Thankfully, Knit Tight is far from the exception to this formula for dramatic gold. If anything, Annabeth has seemingly pulled out all the stops, with poignant scenarios hitting the reader from every side. As if outside stressors of family and fear are not enough; Evren's insecurities about Brady's bisexuality, coupled with his personal quirks and idiosyncrasies threaten to destroy them from within. This is a book that some may find difficult to read. Due to Evren's negative view of bisexuality. While it is true that this issue does prove quite a sticking point for our leading men, watching the growth and compromise that they both engage in for the sake of the relationship that they prize...makes the read. This is a book that is based in life. Life that is flawed, imperfect, ugly, painful, beautiful and meaningful. 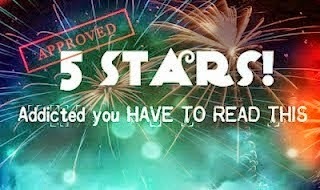 *Reviewer's Note: I was provided with copies of the above referenced literary works for the express purpose of review. All opinions expressed therein are mine, and have been in no way influenced by Lyrical/Shine or those acting on their behalf.